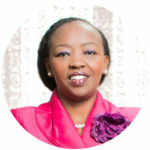 Her Excellency Mrs. Rachel Ruto is an Educator, Women Economic Empowerment champion in Kenya and Africa and is a symbol of humility and family values. Her desire to transform lives birthed Joyful Women Organization in 2009 to Empower Women using their own resources through a group-based funding strategy known as Table Banking. Her Excellency’s passion to work with women and communities has earned her global recognition.